Mayfair is a neighborhood found to the east of Denver, CO. With a diverse range of people and many local events often held within walking distance, Mayfair is the ideal location for a young family to go to be part of a warm, wholesome community. With easy access to downtown Denver, families can live here and still make an easy commute each day to and from their jobs. With more than 3,200 households, you’ll never hurt for want of neighbors. In addition, Mayfair and the surrounding area is home to ten charter and private schools for various education levels. 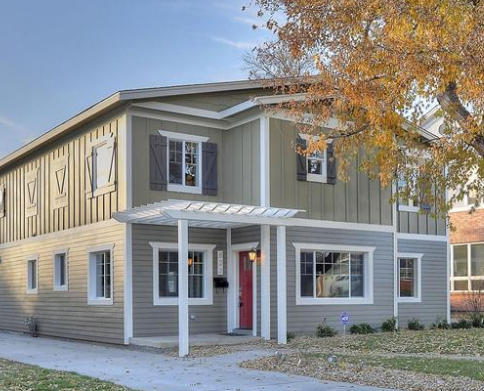 The community is also located relatively close to the University of Colorado Health Sciences Center, making it ideal for college students looking for a place to live. Since Mayfair is so close to downtown Denver, there are many places where public transportation is easily available. Buses are available to carry residents into Denver and back home in the evenings if they do not want to drive. Mayfair hosts many community events that allow people to become acquainted with their neighbors and to feel very welcome in the area, such as garage sales and wine tastings. These events are usually free or very low cost, and great for new residents to attend to get to know their neighbors a bit better. Mayfair, while small, is close to many attractions and places of interest. The Denver City & County Government Zoo isn’t far away, and offers a great option for those with young children. Introduce them to the animals – they’ll love it. The Arte Gallery, Cork Gallery, and Mizel Arts and Culture Center are also all nearby, and the Four Mile Historic Park lies on the outer edges of Denver. The Map & Botanical Gardens provide an escape for the nature lovers in the area, and Mayfair’s proximity to the natural beauty of the area gives hikers and camping enthusiasts plenty of opportunities to get away from it all. Mayfair Park is home to playgrounds, tennis courts, walking paths, and picnic areas. There are also numerous other parks in the area that provide places to get out of the house and into the outdoors, without really going far from home. Close to Mayfair Park are Montclair Park, Kittredge Park, and Lindsley Park. Mayfair has something for everyone, no matter your age, family size, or interests. Whether an art fan or an outdoorsy type, you can find entertainment galore in the area, and you’ll love your neighbors.